By now, we imagine you're fairly well acquainted with the idea of the It bag. You probably also know that nearly every season there's a new one that emerges as the front-runner, cementing itself in the It-bag hall of fame. 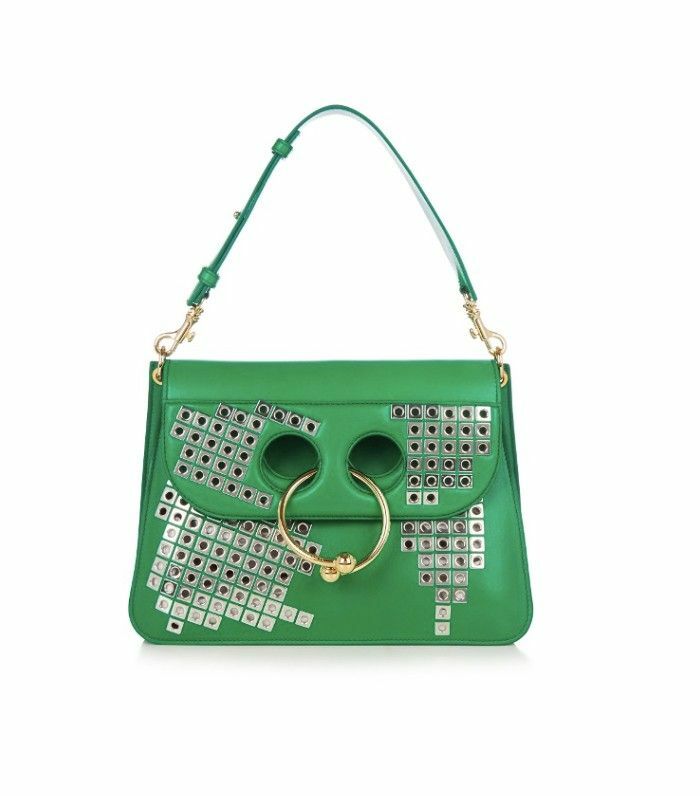 Right now, that bag is J.W.Anderson's Pierce handbag—in particular, the medium version. Sales of the bag have shot up by 45% since the start of New York Fashion Week, giving us more than enough evidence that this is the item everyone wants to wear right now (surely an effect of the many street style stars choosing to carry one during the show period). According to online retailer Lyst, the medium-sized black Pierce is the best-selling style of them all. And for every bag that goes on to the site, about 100 people try to buy it. They've also reported a three-fold increase in traffic to J.W.Anderson's designer landing page on the site in the last three months, which has all been driven by searches for the Pierce. All of this means one thing: It's seriously time to invest (if you haven't already). Or, at least the next time you know Anderson is bringing out a new bag, you'll need to get on it immediately. Keep scrolling to shop the best medium Pierce bags right now. The embellished version is a great twist on the classic. Opting for the brown will make it a great investment. You can never go wrong with monochrome. A bold blue might just be the one we go for. Want more? Next up, we predict the next big It bags of the new season.